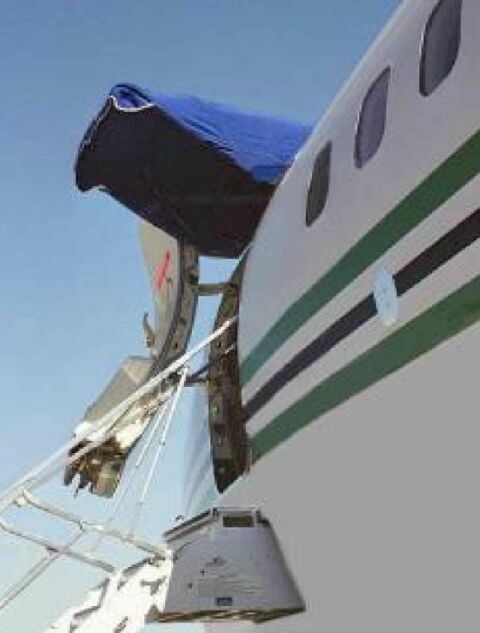 Available for any aircraft, Aerocon's entrance awning is essential. 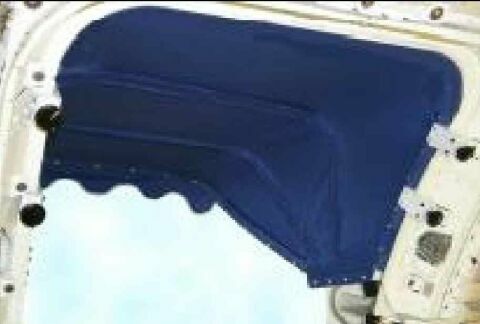 Simply mount it to the door frame when the door is open to keep light and rain from entering the aircraft. The entrance awning is especially useful in conjunction with an air stair, as shown here. The awning attaches temporarily to the door frame without requiring any structural modification. It can be supplied in a variety of colors, and personalized with your company logo.